TIMBR is making its way across the state to a neighborhood or mailbox near you. Our modern and playful goods are popping up in gift boxes, these fine brick and mortar stores, and one camper. Please take a moment to visit them and hear about the incredibly talented makers who are at the heart of their story. Interested in carrying TIMBR goods as a reseller? 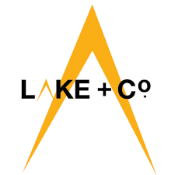 The Lake + Co. Shop was inspired by the stories of people doing exceptional things. These products are local, authentic, and inspired, and we are proud to bring them to you. Lake + Co is also the parent company of some pretty amazing magazines. Makers Mercantile has around 50 North Shore based makers that comprise the shop of art, jewelry, decor, and functional goods. Each product is handmade which is what makes it special and one of a kind. Curated by our team of tastemakers, each MinnBox offers unique, well-made Minnesota creations for you, your home, office, cabin and pantry. Each hand-packed box features a hand-picked selection of honestly good Minnesota products from honest, good Minnesota companies. We specialize in curated gift boxes for all occasions, along with Corporate & Client Gifting for businesses big and small. We're fierce supporters of our local community, sourcing many of our products from our creative neighbors in Northwoods Minnesota. Thank you for considering TIMBR goods for your store or gift box. We are currently looking for partnerships with those who share the same passion for handcrafted goods. Let’s have some fun.